IPsoft Walkin Drive in Bangalore for fresher graduates for the role of Technical Support Engineer. Students who are interested to relocate to Bangalore can attend the latest job openings in IPsoft Global Services Private Limited Company. Face the competition and split out your skills along with that make your goal success of placing in an IPsoft Global Services. Only BE, B.Tech 2018 Passout candidates are only eligible to appear for the IPsoft Walkin Drive in Bangalore. The recruiters of IPsoft company has clearly mentioned that students should have scored minimum 60 % throughout (Class 10-60% and above, Class 12-60% and above, Graduation- 60% and above). Fresher Job aspirants who face all the requirements can avail this chance. 1.4 How To Apply For IPsoft Walkin Drive in Bangalore? With the help of below tabular form job seekers should know the company name, qualification, job role, experience, industry, category, job location compensation details, etc. So before going to attend any type of interview knowing about company details is must and should. After that prepare IPsoft Global Services Placement Papers and Interview Questions to get a good score on the written test. Else Main Gate Security will not allow inside for Taking the Interview. And moreover, try to Reach 15 Minutes early because it will take 10-15 minutes to Clear the Itpl Gate. IPsoft is the world leader in Artificial Intelligence solutions for Enterprises. And making it possible to transform business performance through the employment of digital labor. Headquartered in New York. Candidates should be inspired by the great minds of the past, we relish the challenge of making, what others believe impossible, a reality. 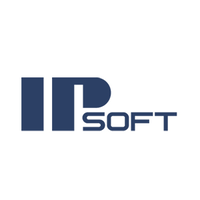 IPsoft company has 18 offices in 15 countries across the world and serves more than 500 of the world’s leading brands. Amelia, our flagship AI, is considered the world’s most human and fully conversational AI. How To Apply For IPsoft Walkin Drive in Bangalore?